View Danielle Scrugg’s photography online and follow her on Twitter @dascruggs. I was born and raised in Chicago, Illinois. I first became fascinated with photography when I was about 7 years old. I would play around with my dad’s cameras (he was a photographer in the Army) and one day he just taught me how it all worked. As far as formal training, I took classes in high school, photography was my minor in college and I studied digital arts with a concentration in photography in grad school. And while I had great teachers and learned a lot about myself and art going to grad school, I have to say, some of the best training I’ve had has come from shooting and studying other photographers and artists from all across the spectrum—painters, video artists, filmmakers, sculptors, illustrators, writers, poets, and the like. I vacillate between film and digital cameras. Sometimes I miss the imperfections and the quality of light and color that come from film. I also miss perfecting prints in a darkroom. On the other hand, I really love the immediacy of digital and the fact that I can tweak and experiment without smelling like chemicals. I still use my dad’s Pentax K1000 when I shoot film and my Pentax istDL for shooting digital. I get my fair amount of “Say what?” looks because I don’t have a Nikon or Canon but both cameras have served me well over the years. Carla Williams is a huge inspiration for me. I discovered her work when I was in grad school doing research and her writing and images were revelatory for me. Let’s be honest, there aren’t too many visible black female photographers out there apart from the big names, the giants like Lorna Simpson and Carrie Mae Weems so discovering her and Deborah Willis’ photos and writings were a relief. Like, we’re not invisible! I’m not crazy! 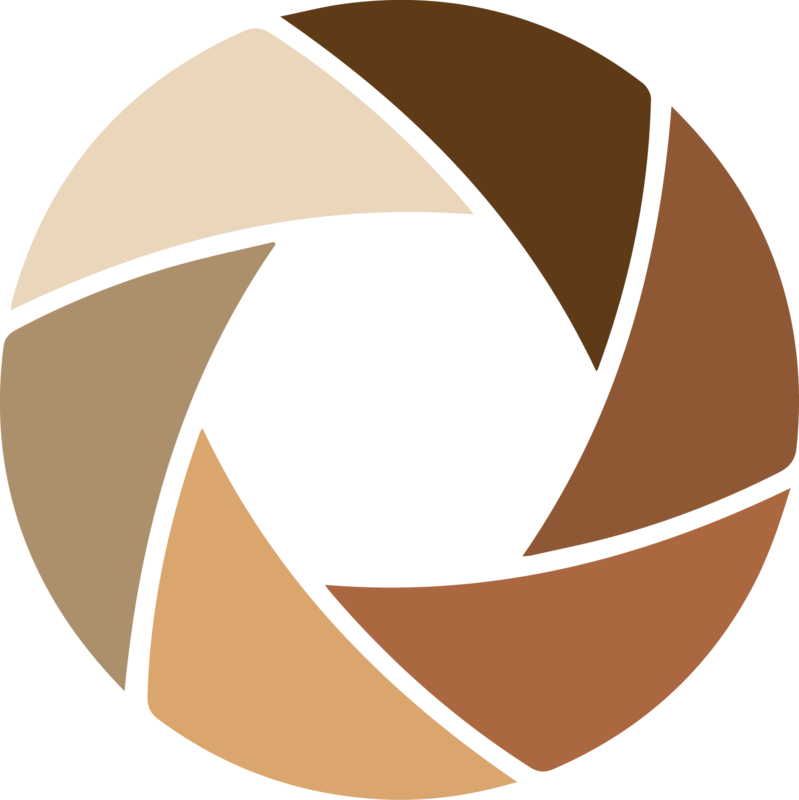 And thanks to her site (as well as yours), I’ve discovered more and more black female photographers, whose work doesn’t always get represented in galleries and online venues for contemporary art photography. One day I emailed her for advice and she wrote me back a very long, thoughtful, wholly honest letter about her experiences as an artist and invited me to write for one of her websites, 81 Press, which focuses on photo books published by and about black people and the GLBTQ (gay/lesbian/bisexual/transgendered/queer) community. Another mentor would be one of my professors, Dr. Jeffrey Fearing, (a writer and medical photographer for Howard University) has been warm and encouraging of me, ever since I took his documentary photography and history of photography classes as an undergrad. My dad’s a mentor as well. He’s a great artist, always photographing, painting, drawing, sculpting, and he’s always encouraged me to pursue what would make me happy, not what would bring in a big paycheck. Well, my career is pretty nascent at this point so I think the toughest thing for me right now is just creating a solid body of work and sharing that as much as I can. However, I have had internships where I was the only black person and the only woman there and my co-workers would make sexist jokes or say borderline racist things. I had to set them straight a few times and it does get exhausting having to be on guard like that. And in grad school, I was the only black woman in my program and there were… I want to say there about three other black people in all the other graduate programs combined. Even at my non-arts related day job, there are only a handful of black women in decision-making positions and I’ve heard people say pretty horrible things about them behind their backs. Which is not so much a personal setback as a grievance, I know. But these kinds of things only solidify just how much diversity is needed, no matter what field you’re in. It only enriches our experiences; it only helps us learn and grow. I think diversity, be it racial, ethnic, socioeconomic, political, age-related, is crucial to understanding the world we live in. So much gets sacrificed when only one point of view is presented and championed and I hope that continues to change as I get older. Ah, the journey. I’m still going it through it now! Art, especially photography, has always been a part of my life but as an undergrad, I majored in journalism and minored in photography. My dad had actually encouraged me to go to art school but I thought I needed to be more practical. And since I liked to write and had written for a teen-oriented newspaper in high school, I figured I’d go into the newspaper business. However, I kept drawing, kept taking pictures and by the time graduation rolled around I realized what really made me happy was taking photos and creating something that expressed how I felt inside. After that I interned at an architectural photo studio in my hometown, shot for a handful of print and online publications and decided to go to grad school for more formal training. Since finishing grad school I’ve exhibited a few times and had one of my photos appear on the cover of a literary journal here in DC. Right now I’m working on sharing my work more, be it in a physical gallery, online venues, art fairs, that sort of thing. What’s really important to me now is to keep creating work that I like and that I’m proud of, as opposed to creating work for hypothetical galleries, curators, critics, magazine editors. This might sound a bit odd, but I hope to make myself more vulnerable with my photography. To give people insight into how I see myself, how I see my world, and hopefully inspire other people to become a little more vulnerable and to let their guard down a little. I’ve often struggled with the fact that my work isn’t overtly political or about blackness or about gender, but I’ve come to realize that I have to stay true to myself, and I cannot force those things. The only thing I can do right now is keep pursuing the subject matter I like to explore, and allow things to come about in an organic way. My dream photography project would be someone giving me money to travel across Europe, Asia and Africa and shoot anything and everything to my heart’s content. For maybe a year or two. Or three. I love learning about different cultures and meeting people who aren’t like me and yet I’ve never traveled outside of the United States. I’m hoping to change that and soon. Right now I’m in the very early stages of a portrait project. I’m honestly not sure where it’s going right now, I’m just shooting and seeing what happens. It’s exciting and scary because I usually don’t shoot portraits and I’m kind of exploring things I haven’t covered before. I’m also in the editing process for another ongoing project, Live, From Planet Earth. It’s in the early stages but I’d say right now it’s about what it’s like to be young, gifted, weird and black right now. I second that thanks!! "I’ve often struggled with the fact that my work isn’t overtly political or about blackness or about gender, but I’ve come to realize that I have to stay true to myself, and I cannot force those things." Wow, thanks J and Jeff! I appreciate it! Thanks, Danielle for the kind words. You continue to amaze me with your photography, your writing, and your insight (such profound wisdom in an artist so young). 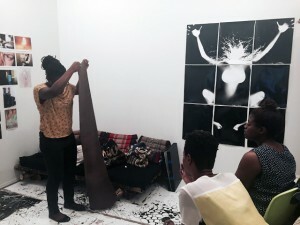 thanks for this: “I’ve often struggled with the fact that my work isn’t overtly political or about blackness or about gender, but I’ve come to realize that I have to stay true to myself, and I cannot force those things.” …for the palimpsest images and the growing body of knowledge via these interviews.